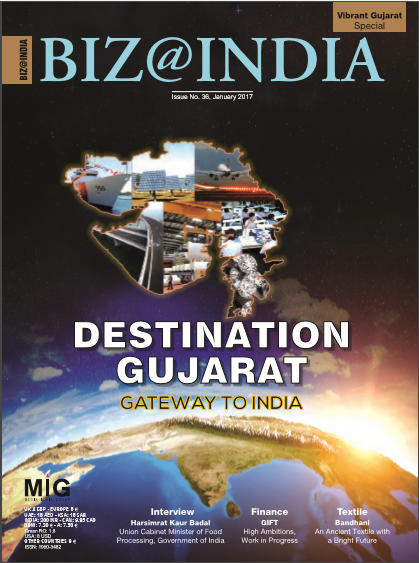 Statistics show that Gujaratis make up around 33 pc of the Indian diaspora worldwide. Drifted for work, they are present in almost all countries that offer good working opportunities. We list some of them, who didn’t just make it to a foreign land, but also to the hearts of millions around the world. A NASA astronaut and United States Naval Officer, Sunita Lyn Williams was born in Euclid, Ohio in the year 1965. An alumnus of the US Naval Academy and Florida Institute of Technology, she was selected as an astronaut by NASA in 1998. A veteran of two space expeditions, Williams is currently assigned to the cadre of astronauts training to fly the initial test flights for America’s first commercially-built spacecraft, the Boeing CST- 100 Starliner and SpaceX Dragon. She has established four spacewalks totalling 29 hours and 17 minutes and holds a record for most time spent on space walks by a woman. She has spent a total of 322 days in space on two missions, and now ranks sixth on the all-time US endurance list and second all-time for a female astronaut. She is the recipient of Navy Commendation Medal, Navy and Marine Corps Achievement Medal, Humanitarian Service Medal and various other service awards. She is the Secretary of State for International Development in the UK since July 14, 2016. She was elected as the Conservative MP from Witham in May 2010. In November 2013, she became the first ever UK Indian Diaspora Champion elected by the UK Prime Minister. An alumnus of a comprehensive school in Watford, Keele University and University of Essex, Patel has served as the Minister of State for Employment from May 2015 until July 2016. She was the Exchequer Secretary to the Treasury from July 2014 to May 2015. Besides having a career in politics, Patel has worked in consultancy and has also worked internationally. Indo-Canadian Bharat Masrani is the Chief Executive Officer and President of the TD Bank Group since November 1, 2014. He has more than 29 years of banking experience and is a member of the TD Bank Group Board of Directors. He, most recently, served as the Chief Operating Officer for TD Bank Group from July 2013. Masrani’s association with TD Bank dates back to 2006, when he served as the President of TD Banknorth. Later, in 2007, he became the President and the CEO. In 2008, he was named the Group Head, US Personal and Commercial Banking, and President and CEO at the bank. Before holding these positions, he served as the Vice Chair and Chief Risk Officer, a position he held from May 2003. He also served as Senior Vice President and Chief Executive Officer of TD Waterhouse Investor Services in Europe; and Vice President and Head, Corporate Banking Canada. He received a Bachelor of Administrative Studies degree with honours from York University in 1978. An actor of Indian origin, Manji has appeared in Hollywood blockbusters such as ‘The Wolf of Wall Street’ (2013), ‘Transformers’ (2007) and ‘The Dictator’ (2012). He also became a famous face through his role in the TV series titled, ‘Outsourced’. He was born in Toronto, Canada, to parents of Indian origin who moved there from Tanzania. Manji, also known for his roles in ‘American Desi’, ‘Charlie Wilson’s War’, ‘Morning Glory’, ‘Don Jon’ and TV shows, ‘Glee’ and ‘24’, had one of his busiest years in 2013. The actor is a Bollywood fan and has often expressed his desire to work with the Indian actor, Aamir Khan. Ishu Patel is an animation film director/producer and educator whose films have received theatrical and television distributions worldwide. His works have got him international awards such as two Oscar Nominations, the Silver Bear at the Berlin Film Festival, the British Academy Award and the Grand Prix at both Annecy and the Montreal World Film Festivals. Born in Gujarat, Patel is an alumnus of MS University in Baroda, the National Institute of Design in Ahmedabad and the Basel School of Design, Switzerland. A Rockefeller Foundation Scholarship brought him to the National Film Board of Canada. He is known for the development of animation techniques to enhance his stories and visuals, and has produced and directed award-winning films, ‘The Bead Game’, ‘Afterlife’, ‘Top Priority’, ‘Divine Fate’ and ‘Paradise’. He is also a keen photographer and often travels the world with his camera. Born in a small village in Gujarat, Nalin grew up selling tea, missing school, selflearning art and imbibing spirituality from his parents. Now, an international filmmaker, writer and director, Nalin started his career and supported his education by shooting weddings. He is an alumnus of the MS University of Baroda and has been a student at the National Institute of Design in Ahmedabad, where he started writing for movies and participating in film clubs. After travelling extensively throughout India, he moved to Mumbai and made commercial videos amongst other things. From here, he went to the US, the UK and Europe. He made documentaries for the BBC, Discovery, Canal Plus and other leading international networks. He also came into global limelight with his internationally acclaimed feature film, ‘Sansara’, which is one of the highest grossing Indian independent films. He has also worked with the UN to make a film on environment and is one of the rare Indian screenwriters who have shared platforms with renowned national and international faces from the cinema world. This Gujarat-born computer scientist and inventor defines himself as a ‘designeer’. Born in Palanpur, a small town situated in northern Gujarat, Mistry is the head of Think Tank Team, which produces experience-centric future products and technologies. He is also the Director of Research for Samsung Research America and has previously worked with Microsoft, Google, CMU, NASA, UNESCO and Japan Science & Technology, among other organisations. An alumnus of the Indian Institute of Technology in Mumbai and the MIT, where he mastered in Design and Media Arts & Sciences respectively, he holds a Bachelor’s degree in Computer Science and Engineering. Credits to his diverse education, this ‘designeer’ sees technology from design perspective and vice versa. “This vision reflects in almost all of my projects and research work as well,” he says on his website.